I’ve always had a thing about paths and pathways, so when I saw on instagram that that my relatively new friend Laura was reading The Old Ways by Robert Macfarlane and that it was a book all about ancient paths and how they came into being, I just knew that it was a book I was going to have to read. I say I have a thing about paths – I also have a thing for doorways, maps, and ruins but in this case I’m talking about paths – and pathways. My final degree show pictures included paths and pathways and I documented maps of the routes they incorporated. 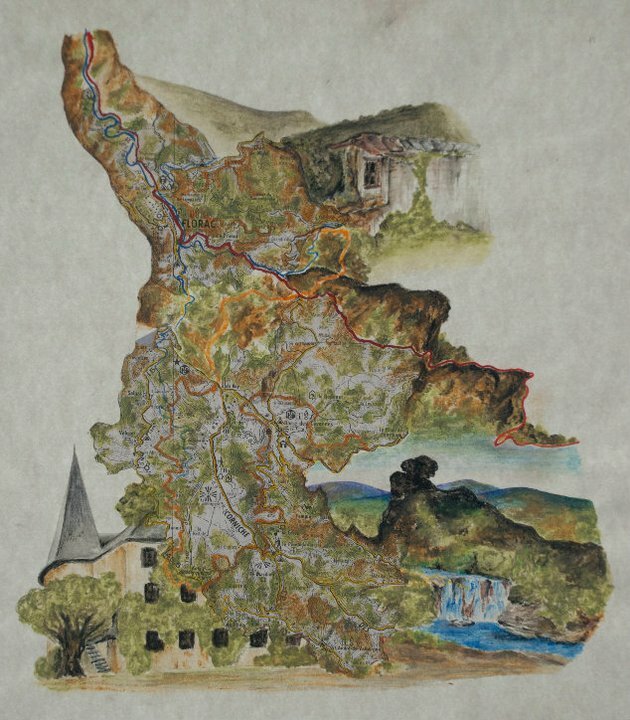 A map of the Cevennes region of France inspired by Robert Louis Stevenson’s ‘Travels With My Donkey’ and Richard Holmes retracing of those footsteps. 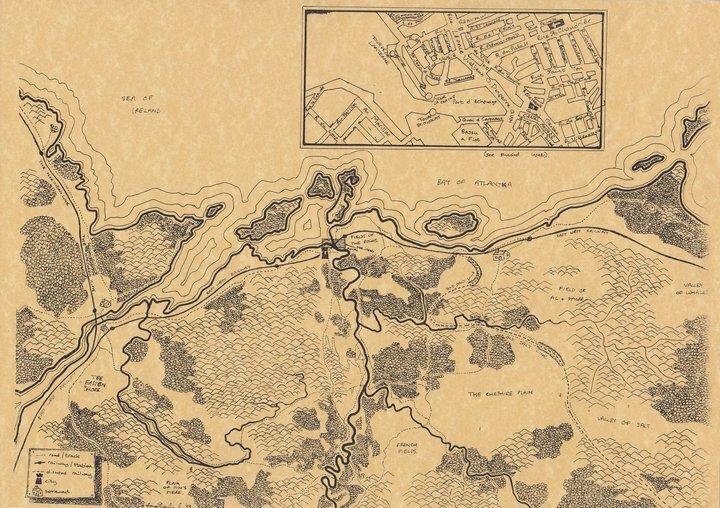 A ficticious land drawn from the topography of Wales, with street patterns from France.